The relationship between fasting and hunger is, without doubt, the #1 concern we hear. Overcoming hunger seems a daunting task, stemming from a misunderstanding of actual hunger. This is mildly ironic, since my guess is that 95% of us have never, truly been hungry in the sense of starvation, where we did not know when we would be able to eat again. However, I also understand that hunger is one of the most basic human drives/instincts known as the 3 F’s (food, fluids, and procreation). We saw in our last post that much of what we perceive as hunger is actually a learned behaviour, and as such, can be ‘unlearned’. Breaking all the conditioned stimuli of food will help reduce hunger cues. However, there is also a natural need and desire for food. There are unconditioned stimuli – those signals for us to eat – smell, touch, taste, sight of food. The hunger response starts well before food is ingested, and is highly dependent upon hormonal stimuli (gherelin, peptide YY, cholecystokinin, leptin etc). For example, you might think the smell of food increases hunger. But what if you had just stuffed yourself at the All You Can Eat Buffet? The smell of french fries is likely to make you queasy, not hungry. But, if you are susceptible, then hunger starts in the mind. This is known as the cephalic phase response (CPR). ‘Cephalic’ refers to the brain – so these are measurable physical responses to the suggestion of food and lasts for about 10 minutes. The most obvious of these is the Pavlovian response that we discussed previously. Salivation increases immediately upon the expectation, not the actual delivery of food. Interestingly, the amount of salivation increases when people are shown a picture of a lemon compared to other foods, so clearly the CPR is ‘learned’. Pancreatic fluid and bicarbonate are also secreted into the stomach well before any food is received. The pancreas also starts to ramp up insulin production and secretion before there is any change in blood glucose levels. Post-prandial thermogenesis – the body heat produced after meals – is also increased. These are measurable responses, although much weaker even in anticipation of food even if no meal is taken afterwards. The purpose of CPR is to help synchronize the gut response and the incoming food bolus – gut pre-conditioning. If you deliver food directly into the stomach, there is no preparation and subsequent blood sugars are much higher as the body has not had a chance to produce insulin. Of interest, sweetness itself is not sufficient to start the cephalic response. An unflavored artificial non caloric sweetener by itself did not stimulate insulin secretion. However, when paired with flavour, it may start the the cephalic phase, even if the gastric phase does not proceed (because it has no calories or bulk). First, there is controversy whether you can use non-nutritive sweeteners during fasts (Splenda etc.) Even though there are no calories, this does not negate the cephalic phase response. If the flavour and the sweetener is enough to start the CPR (diet soda, for example), then this will naturally stimulate hunger and the desire to eat. You are chumming the shark infested waters of hunger. If you don’t eat soon, somebody’s gonna get their head bitten off. So, yes, artificially sweetened food can make you hungry. Diet sodas, in my opinion, are generally not helpful to efforts to fast or lose weight. Recent randomized controlled studies back up the point that diet drinks may sabotage weight loss efforts despite the large decrease in consumed sugars. Of course, common sense would have told you the same thing. If sweeteners were the answer, we would not have this obesity epidemic, would we? It’s not like people aren’t eating sweeteners. How many people do you know that have tried sweeteners? 95% of everybody? How many people lost significant weight? 2%? There’s your answer right there. The proof is in the pudding. In our IDM program, we prohibit the use of all artificial sweeteners. However, if the flavouring is weak and CPR is not activated, then use of artificial sweeteners may be OK. There are certainly those that argue that sweeteners help them lose weight by increasing compliance. If so, great. My best advice is to try to fast without the use of sweeteners. If you cannot, then you can try adding a small amount. However, if it makes fasting harder, or prevents you from seeing results, then stop. The second practical implication of the CPR is that we must remove ourselves food stimuli. Trying to cook a meal while fasting is almost unbearably difficult. To see and smell the food without being able to eat it is hard. This is not simply a matter of weak willpower. Our cephalic phase responses are fully activated. To stop there is like trying to stop a piranha feeding frenzy. Or like trying to stop peeing after you started. (This is actually the way you are supposed to do a urine test). If you can take yourself out away from food stimuli, then keeping to a diet or a fast is infinitely easier. This, of course is the reason you should not shop for food when hungry, or keep cookies/ snacks in the pantry. That is why one of our most important tips for fasting is to stay busy. I often fast during workdays, because it fits easily into my schedule. I simply work through lunch. By staying busy, I don’t even remember to be hungry. My cephalic phase response has not been activated. If somebody were to put food in front of me, I often cannot resist. But if there is only a pile of paperwork, I just plow right through and forget to be hungry. Then, I get to go home early because I just saved an hour or so. We often imagine that hunger will build and build until it is unbearable and we need to stuff ourselves with Krispy Kreme donuts. however, this is not the case at all. Hunger comes in waves. You just need to ride out the waves. Remember a time when you skipped lunch. At first, you get hungry. It’s 12:00 noon, but perhaps you are caught up in a meeting and can’t get away. The hunger builds and builds, but there’s nothing to be done. Boss is such a jerk! But what happened at 1:00 or 1:30 or so? The hunger entirely dissipates. The wave has passed. By dinner time, you might remember you missed lunch and eat. What’s the best way to pass the wave? I find that drinking a cup of green tea or coffee is enough. By the time I’ve finished my cup of green tea, the hunger has passed and I’ve gone onto the next thing to do that day. Hunger is not predetermined by not eating for a certain period of time. Hunger is a hormonal signal. It does not come about simply because the stomach is ’empty’. Why is this important? Because that explains how people can fast for days without being hungry. This is a consistent finding throughout the scientific literature on fasting as well as in our own IDM program. A feeling of well-being is certainly engendered in this way and may amount to euphoria. We did not encounter complaints of hunger after the first day. Jeez! People weren’t hungry and actually felt ‘euphoric’ during 14 days of fasting. In fact, some felt so good, they wanted to continue. This was echoed by the experience of Dr. Drenick, of UCLA. Hunger comes quite strongly during the first 1-2 days of fasting. After that, the hunger just subsides and then goes away. Some people speculate that the ketones are actively suppressing appetite. This explains our response to people who feel they cannot go beyond 24 hours of fasting. We advise them to try 3-7 full days of fasting. Why would we do that? Well, this rapidly gets their bodies used to fasting. 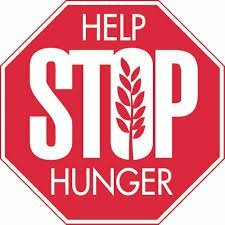 By getting over the first 1-2 days, hunger starts to disappear and they become reassured that they are not ‘overwhelmed’ by hunger. Most patients feel that day 2 is the worst. Once they know this and expect it, they are able to handle it. Hunger is a state of mind, not a state of stomach. I know a couple of people who fasted for 3 weeks to 40 day, and it is true, their hunger completely subsided. However, once they started eating again, the weight all come back rather quickly. How do your patients avoid this? Maybe they can transfer over to a less intense fasting method such modified alternate day fast (ie Varady or Johnson) or a 5:2 (Mosley)? A lot of the weight lost is the initial loss of glycogen stores and the water they tend to hold. This is 5-10 lbs in most people. This will inevitably come back on but the actual fast lost should not. The fast lost should roughly correspond to TDEE*number of days fasted/3500 since a pound of fat contains about 3500 calories. Perfect explanation – thank you! Maybe you are not just totally adapted to burning fat? Try very low-carb diet for a couple of weeks, say, about 50g/day. When you consume 60-70% of your calories as fat, it is very easy to switch from burning the fat you eat to burning the fat you carry in your stores. No more hunger pangs and no hypoglycemia. I had metabolic syndrome and had same kind of symptoms you describe. Now fully recovered. Thanks Ari. Glad it worked for you and it encourages me to keep trying. I can get down to 50g of carb or less most days, but I also need to limit protein intake because of kidney disease. I have to concentrate on keeping the fat intake high because I carry very little stored fat now that I’ve almost halved my weight to 155 pounds and reduced my waistline by twelve inches. Luckily I love the taste of butter (melted over vegetables and stirred into home made soups) and olive oil (mixed with apple cider vinegar as a salad dressing). Any idea why a 70% fat-diet would switch to burning stored fat? Also what fats were you consuming? Butter, olive oil etc? Thanks again for the pertinent information! Is this how the Breatharians can expound the supposed “virtues” of living off nothing but air…right up until they die–the euphoria? I am a big fan of fasting but my workday is demanding & i need atleast a fruit or small bowl of veggies to survive the day. I am overweight & my family has a history of T2D. Just wanted to know your thoughts on this. I only little amount of veggies or couple of boiled eggs or a fruit during daytime, works nicely but still in the first week. My husband complains my breath gets bad after about 16-20 hours of fasting and basically forces me to eat something (drinking tea/coffee or brushing my teeth doesnt help, it seems to come from my stomach being empty, not my mouth). Anyone experienced the same or have any tips what I can do to minimally affect the fasting? Thank you!! Greetings Dr. Fungi and Megan: another fantastic post…many thanks. After enjoying a recent prep session with Megan and others via your IDM/ LDP I started a5- day fast and also had NO hunger after day one. Like Jennifer’s question I too wonder which sugar substitute, in gum or mints, is acceptable. I allowed myself 2-4 pieces of xylitol gum a day, due to extreme ketonix-breath (ketones at 4.7 on day 4). Thanks again for your ongoing great work. All the best! ….sorry Dr. Fung…not Fungi (darn auto spell)! He is a fun guy though! I like Stevia in my coffee and thought it was a better choice. It seems what you are saying is that the CFR may be initiated either way. Stevia is not an artificial sweetener. Especially if you use the ground up green leaves. Extracts are not in general real food. Counter example, butter is general considered food, but is a (low tech) extract. Dr Fung: Since insulin secretion is stimulated only when sweetness is paired with a significant degree of ‘flavour’, does this mean that sweeteners in tea and coffee are reasonably safe, or are the flavours of those beverages sufficient for insulogenesis? I get a response from Xylitol exactly as if it were sugar. As a mother, cooking several meals a day, this is a major issue for me. When water fasting, it was the opposite for me. I enjoyed preparing food and just being around it (though I didn’t even taste it to check it) and the smell of it kind of sated my nostrils and interest. I was surprised this happened because I would have expected the opposite. But it turned out that many others in the fasting forum I use experienced the same. Our “nose hunger” was satisfied, and that helped shut our stomachs up. As a cook, there are moments when one has to taste to answer simple questions: is it salty enough, is it too spicey, is the chicken undercooked etc. Sometimes I have my daughter around to be my taster, othertimes I have to plunge in to answer myself. I still consider myself fasting, I do not believe a spoon or two of food will change the fact I have not eaten for the last 24 hours. I had the same problem while I am cooking & fasting for 24 hours…five days a week. Now I start cooking close to dinner time when I end fast. I agree with you that tasting the food while cooking does not make much difference. Pam, this article might be of interest to you. I used to do the same as you daily but after I tracked calories I felt like I wasn’t eating enough as I’m pretty active. That is me in the comments as well. I am starting the fasting tomorrow. Does anyone have the protocol got me to follow? Do you have a roster of doctors in the USA who are willing to cooperate with your fasting protocols? I live in Syscamore, IL 60178 in DeKalb County USA .I am on your wait list through Amazon for the Obesity Code. I was hoping that when you book is released and is a best seller you will be inundated with this type of request. Hoping you have plans for expanding our practice or developing a group of like minded doctors who would be willing to see patients living here in the USA. While fasting, I drank a diet drink with Splenda. An hour later my blood glucose dropped from 78 to 68. Is this cephalic or an indication that I am still insulin resistent even after weight loss and getting my sugar under control? Dr.Fung… food stimuli.. I own and run a restaurant, and have now started on a OMAD plan, roughly a 24 hour fasting, and you are damn right when you say that the first two days are the toughest.. but whenever I feel like letting go, I either watch one of your videos or reach out to your blog… you are rendering a yeoman service..
I’m just starting the 16 hour and 24 hour fast with low carb diet. However; I have a food truck and always think about food, but not necessarily hungry and eating. I also watch food shows at night before I go to sleep. No wonder I never lose weight…my insulin is always increasing. I would like to know how I can fast with a certain set of circumstances that induce CPR. I am a chef and working for persons with eating disorders- Í am around food all the timeª ResultÑ I have put on 30kg weight. I believe fasting and high Ketone content would be the way to go, but how do I control CPR in my case? Diarrhea at the end of fasting. What do you recommend to stop it? It has happened following a 2, 3 and 4 day fast. I follow a LCHF keto diet. First you say “sweetness alone is not enough to induce CIPR”. But add flavor and voila, CIPR. First, any support for this “flavor” requirement? I can’t find any support for flavor being the deal breaker. Second, you don’t need to ingest anything at all to have CIPR happen? As in, breathing in aromas is enough? Doesn’t that negate the above point, or having to physically have something with flavor enter your mouth? Any support/studies showing insulin responses to smells? So does smelling foods kick you out of autophagy? I’m not clear on that. It’s the reason I’m on day 4 today.